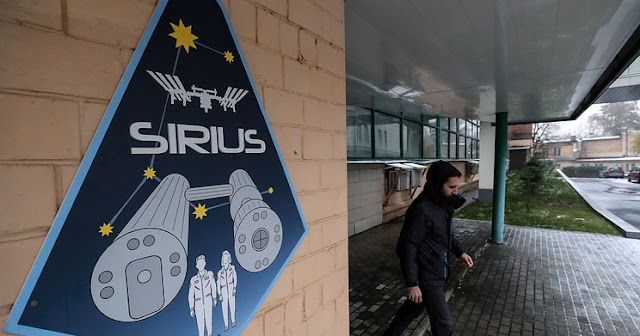 The SIRIUS isolation experiment for future lunar flights will begin on the premises of the Institute of Biomedical Problems on March 19, Project Chief Manager, Section Head at the Institute of Biomedical Problems Mark Belakovsky told TASS on Wednesday. "The second stage of the SIRIUS project is scheduled to begin on March 19. On that day, a crew of six members will be closed in an experimental compound simulating a flight to the near-Moon orbit and works on the Moon’s surface," he said. The final group of participants in the experiment will be determined on March 5, he said. "Overall, the commission will select eight persons: six of them will make up the crew and two persons will be back-up crew members," Belakovsky said. Three women and three men are expected to make up the crew. Two representatives of the United States and one representative of Belarus are also expected to take part in the isolation experiment. As Belakovsky said earlier, the SIRIUS experiment for the four-month isolation will begin on March 1, 2019. The SIRIUS (Scientific International Research in Unique Terrestrial Station) experiment will simulate a flight to the Moon: the travel to the Earth’s natural satellite and a flight around it to search for a landing place, the landing of four crewmembers for operations on the surface, the stay in the Moon’s orbit and the remote control of a lunar rover to prepare a base and return to Earth. Currently, a series of experiments called SIRIUS is being implemented on Earth to prepare for deep space flights, in the first place, to the Deep Space Gateway. The participants in the research will spend in isolation from 17 days to a year in the ground-based compound of the Institute of Biomedical Problems. The first of the series of joint Russian-US SIRIUS experiments was held in November 2017 and lasted 17 days. The crew was tasked to conduct over 60 various experiments, ‘capture’ satellites by a manipulator arm and control a rover on the Moon’s surface. Now a four-month isolation experiment is due to take place to be followed by an eight-month experiment that will give way to a twelve-month research.